The Lost Adventures is finally getting into a releasable state. Major bugs are solved and game assets are polished to the max. 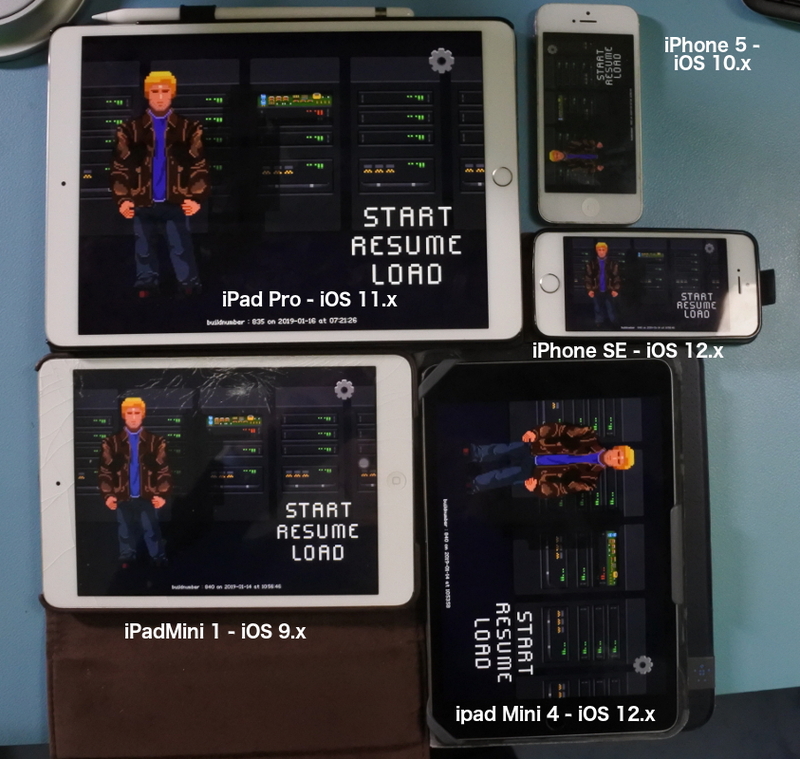 The only task remaining is testing it on a variety of devices that can have a lot of different sizes. Over the years I collected quite some iDevices. The Lost Adventures is a universal compatible game targeting iOS8 till current iOS version (now 12). I discovered that the game didn’t run smoothly on the lowest specced device show below, and that’s the iPad Mini 1. In the last post I mentioned that this was a problem in the A* algorithm I used. It was really slow and not optimized. Now it runs OK on that iPad. On all devices I get a decent framerate! And the game is compatible, I still need to check for memory leaks though!